Fulfilling the demanding landscaper's trimming needs, the STIHL FS 91 R trimmer is the well-rounded choice for professionals. It features a low-emission engine and large fuel tank which provides 30% longer run times than the previous model. 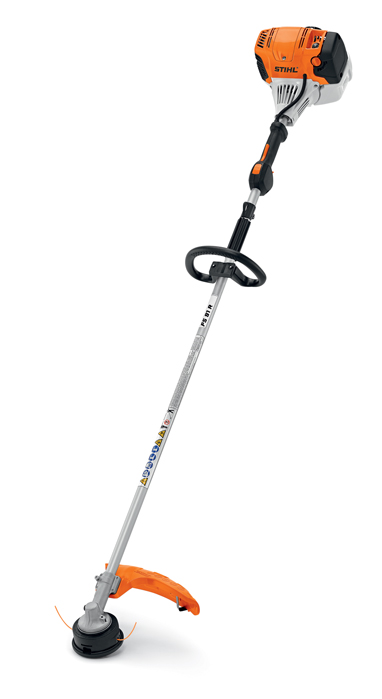 With its rubberized loop handle, this straight-shaft trimmer delivers a comfortable grip of product, the maneuverability needed to navigate obstacles and the power to cut them down. The FS 91 R trimmer also has a simplified three-step start procedure that saves users time, and a superior air filter benefitting you in the long run. *Without deflector and cutting attachment.